Sridhama Mayapur -- The birthplace of the Supreme Lord Sri Krishna Caitanya in the province of Gauda in Bengal. 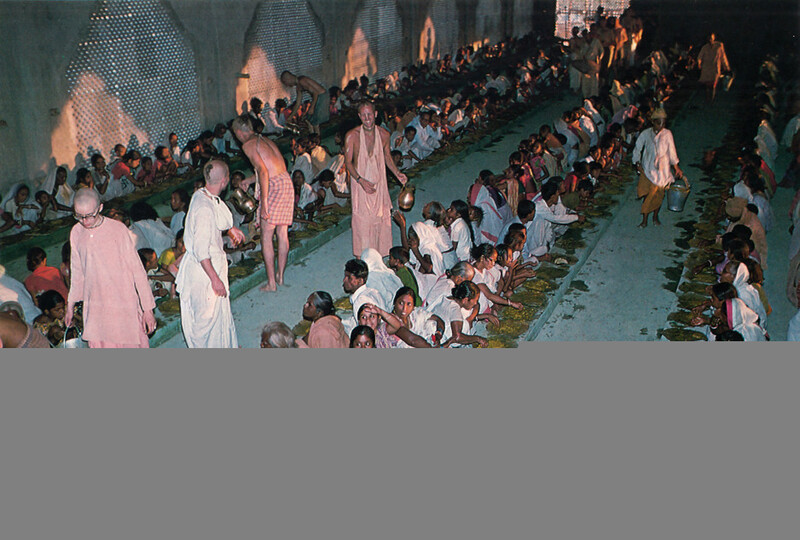 Distribution of prasada (food offered to Krishna) at the Mayapur-candrodaya-mandira near the birthplace of Sri Caitanya Mahaprabhu. In 1885, Srila Thakura Bhaktivinoda wrote: “Oh, for that day when the fortunate English, French, Russian, German and American people will take up banners, mrdangas and karatalas and raise kirtana through their streets and towns. . .and join with the Bengali devotees. 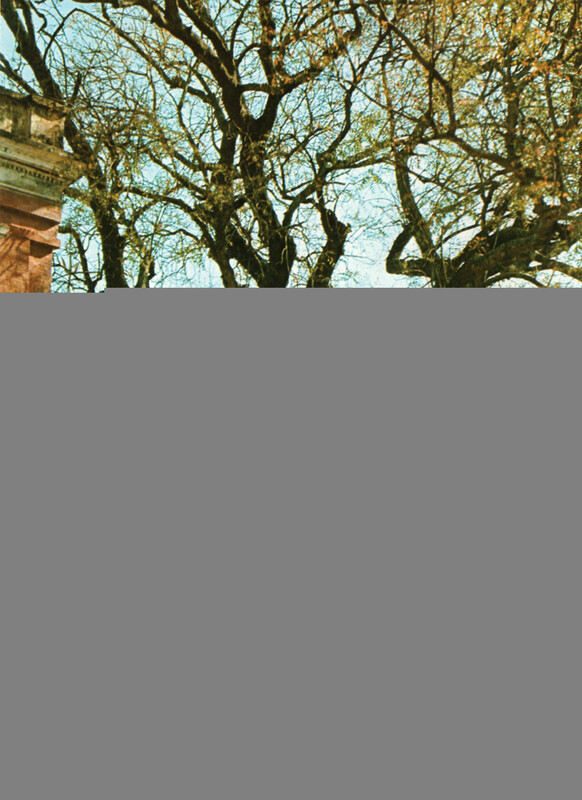 When will that day be?” In 1974, on the anniversary of Lord Caitanya’s appearance, Srila Bhaktivinoda’s desire was fulfilled by the disciples of His Divine Grace A.C. Bhaktivedanta Swami Prabhupada. 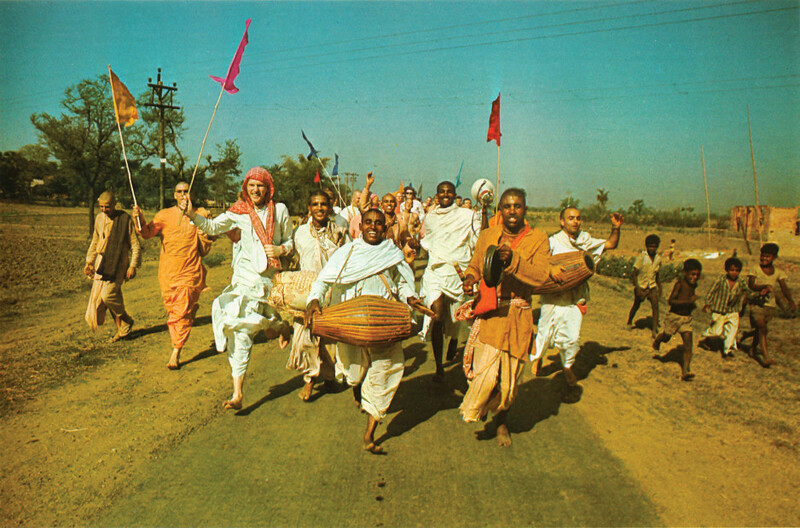 Distribution of prasada (food offered to Krsna) in West Bengal, India. The ISKCON Temple at Lord Caitanya’s birthplace in Mayapur, West Bengal. 1974. Sridhama Mayapur — The birthplace of the Supreme Lord Sri Krsna Caitanya in the province of Gauda in Bengal. 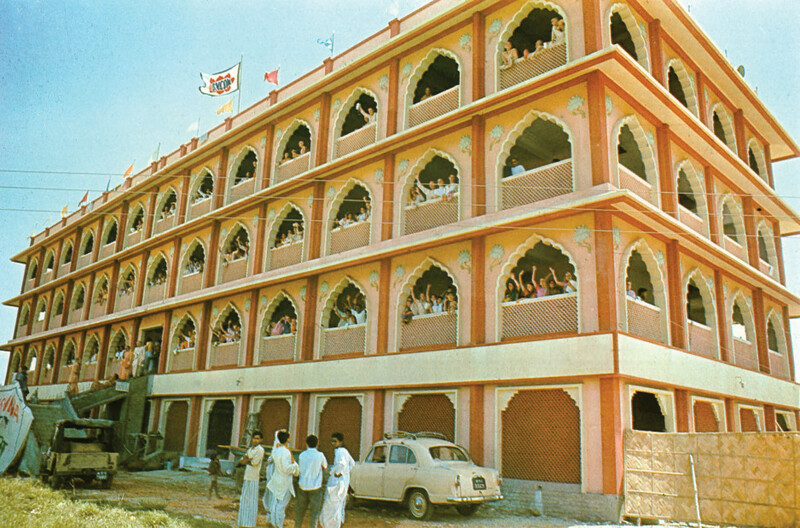 The ISKCON International Center at Lord Caitanya’s birthplace in Mayapur, West Bengal. 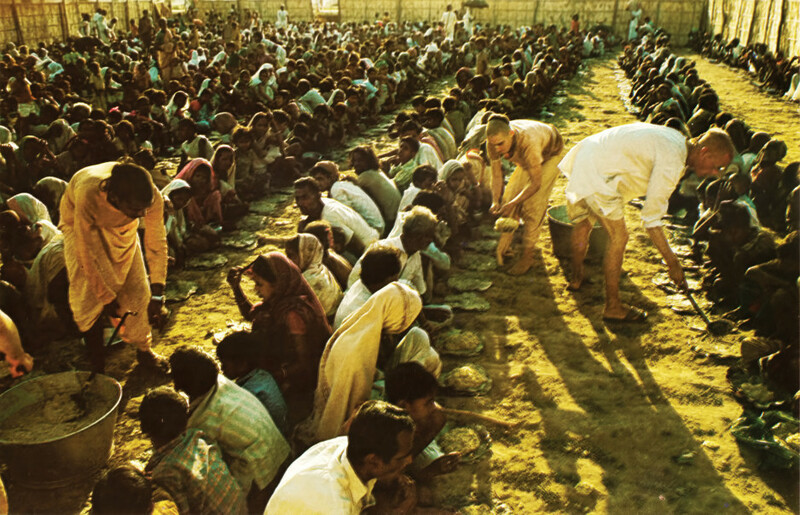 Distribution of prasada (food offered to Krishna) in West Bengal, India.